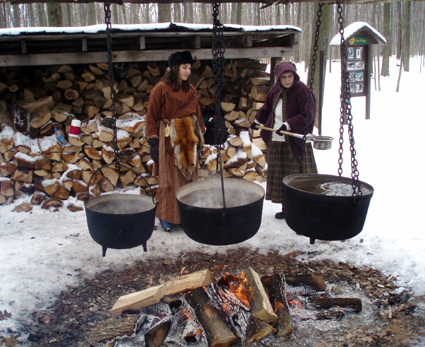 In the New Year over 3 weekends in January (15/16, 22/23, 29/30, 2011), the Niagara Region is transformed into a wintry wonderland celebrating one of Canada's most cherished products: Ontario Icewine. From Gala evening toasts to chestnut roasts, ornate ice bars and winery tours, the 16th annual Niagara Icewine Festival offers plenty of activities for every taste. 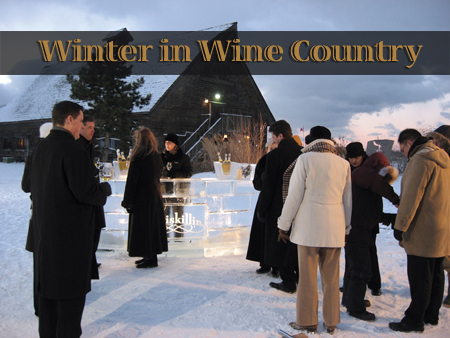 The best and easiest way to experience the Ice Wine Festival is with a Discovery Pass. Explore the wintry wine route for just $30. 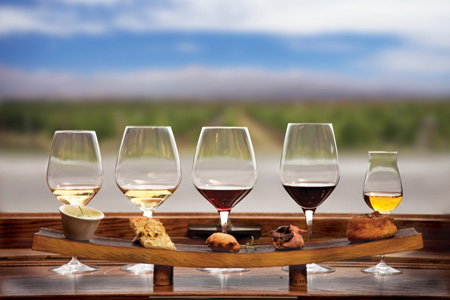 The discovery pass can be used at six wineries to enjoy their wine and food pairings throughout the three weekends of the Niagara Icewine Festival. Call 905-688-0212 or visit any participating winery to purchase your passes today or order online click here. 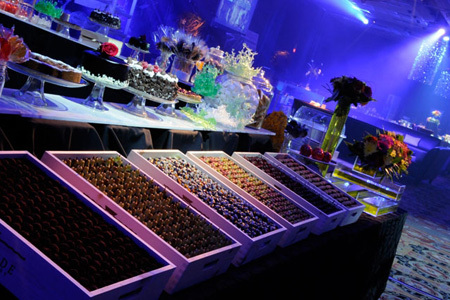 January 14, 2011 from 8 pm to 11 pm, this dress up affair is held at the beautiful Fallsview Casino Resort. Sample exquisite appetizers and the finest of Niagara’s Ice wine. This spectacular evening of Niagara cuisine, live entertainment and more than 30 of Ontario's premier VQA wines and Icewines is sure to be a unique and unforgettable evening! January 15, 2011, from 6 pm to 10 pm, join residents of the City of St. Catharines for an evening of wine, food, and culture at Market Square! Sweet. Sparkling. Sensational. 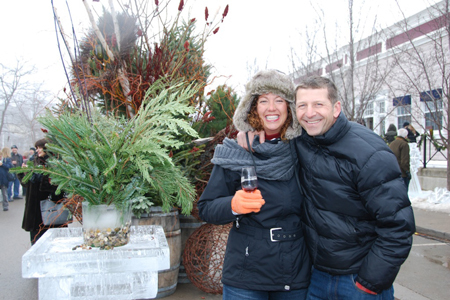 On January 15 and 16 from 11 am to 5 pm over 30 of Twenty Valley's most celebrated wineries pair up with some of the region's best chefs for an enchanted winter weekend. Icewine will share centre stage with sparkling and premium VQA red and white wines. Spend your afternoon amongst cozy open fires, sensational tastings and live entertainment during our street festival. 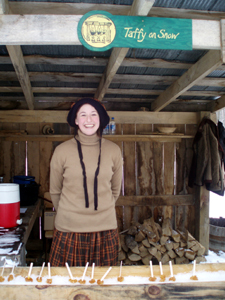 Admission is free, visit www.twentyvalley.ca. During the Niagara-on-the-Lake Icewine Festival, the Wineries of Niagara-on-the-Lake (WNOTL) encourage you to beat the winter cold with liquid gold. 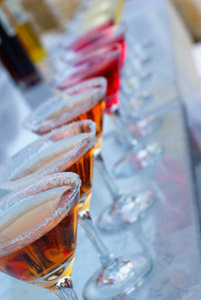 The Niagara-on-the-Lake Icewine Festival includes a variety of Icewine-inspired events offered by the members of the WNOTL and Niagara-on-the-Lake restaurants. 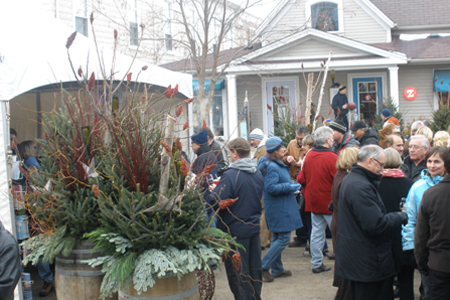 The flagship event of the Niagara-on-the-Lake Icewine Festival is the Niagara-on-the-Lake Icewine Village on Saturday, January 22 and Sunday, January 23, 2011 from 11 am to 5 pm on Queen Street in the centre of the Heritage District. The event pairs Icewines from the 25 WNOTL with Canadian Jazz music and Icewine-infused delicacies from Niagara-on-the-Lake restaurants. 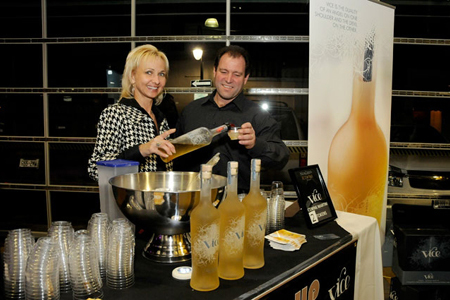 On the evening of Saturday, January 22, 2010, from 9 pm to 11 pm, wine country’s hottest Icewine “Mixologists” will compete in the Icewine Cocktail Competition. The best part of this event is that guests get the opportunity to sample innovative Icewine cocktails. In addition, the Heritage District of Niagara-on-the-Lake will be the site of Icewine Legends (the weekends of January 15/16, 22/23, 29/30, 2011), a tasting series lead by Niagara-on-the-Lake’s founding and upcoming Icewinemakers; Icewine & A Movie (Saturday, January 15, 2011), a celebration of Icewine and 50 Years of the Shaw Festival and Goodies for Grownups (Saturday, January 29, 2011), an Icewine and dessert reception hosted by celebrity Chef Anna Olson. For details on Niagara-on-the-Lake winery and restaurant event listings, visit www.wineriesofniagaraonthelake.com or visit www.icewinefestival.com for a list of all Niagara Icewine events. Need accommodation for the festival? See B & Bs in the Niagara area. The 25 Wineries of Niagara-on-the-Lake (WNOTL) are warming up winter during the Days of Wine & Chocolate touring pass event. 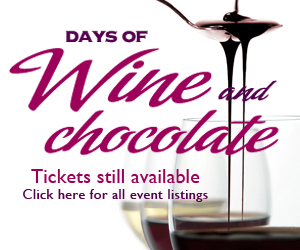 The Days of Wine & Chocolate pairs 25 VQA (Vintners Quality Alliance) wines alongside decadent chocolate pairings. The event takes place each weekend in February (5/6, 12/13, 19/20, 26/27) from 11 am to 5 pm. Each of the wineries in the group has been assigned a gourmet chocolate pairing and their winemakers tasked with finding the perfect wine pairing. Guests can expect classic pairings, like Late Harvest Vidal alongside White Chocolate Cranberry at Lailey Vineyard and unexpected surprises, including Blackberry Fruit Wine matched with Dark Chocolate Chili at Southbrook Vineyards. For a full listing of featured VQA wine and chocolate pairings, visit www.wineriesofniagaraonthelake.com. Committed to using local suppliers for touring pass events, the WNOTL are again working with Niagara-on-the-Lake pastry Chef Catherine O’Donnell of Willow Cakes & Pastries. O’Donnell is making more than 50,000 chocolates during the month. Everyday the WNOTL welcome guests to Wine Country to savour the richness of the region and to experience the 25 distinct wineries, each with its own personality reflected in the wines they craft. The members of WNOTL are: Cattail Creek, Château des Charmes, Coyote’s Run, Hillebrand, Ice House, Inniskillin, Jackson Triggs, Joseph’s, Konzelmann, Lailey, Maleta, Marynissen, Niagara College, Palatine Hills, Peller Estates, Pillitteri, PondView, Ravine, Reif, Riverview, Southbrook, Stonechurch, Stratus, Strewn and Sunnybrook Farm. Visit www.wineriesofniagaraothelake.com. Willow Cakes & Pastries is located at 42 Mary Street, Niagara-on-the-Lake, ON and is open daily from 8 am to 5 pm. Visit www.willowcakes.ca or call 905.468.2745 for more information. 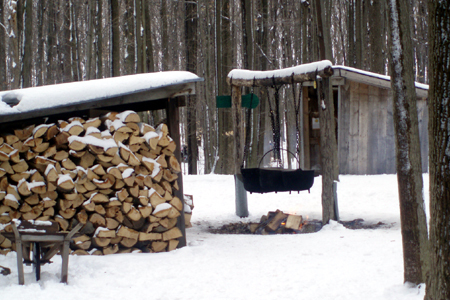 Did you know that Niagara has its very own maple sugar farm? Yes we do and anytime from mid January to end of March is a great time to visit White Meadows Farm. The Pancake House, Barnyard Skating Rink, The Sugar Bush Adventure, School Tours, Petting Farm, and The Sugar Shack await all those with a sweet tooth, and a love of all things maple! Why not consider spending the night at a local B & B in the region? Choose from a list of fabulous B&Bs that are members of the Niagara-on-the-Lake Bed and Breakfast Association and BBCanada.com. For more information on Niagara, visit www.tourismniagara.com.